Pohela Boishakh is the festival of celebrating Bengali New Year. 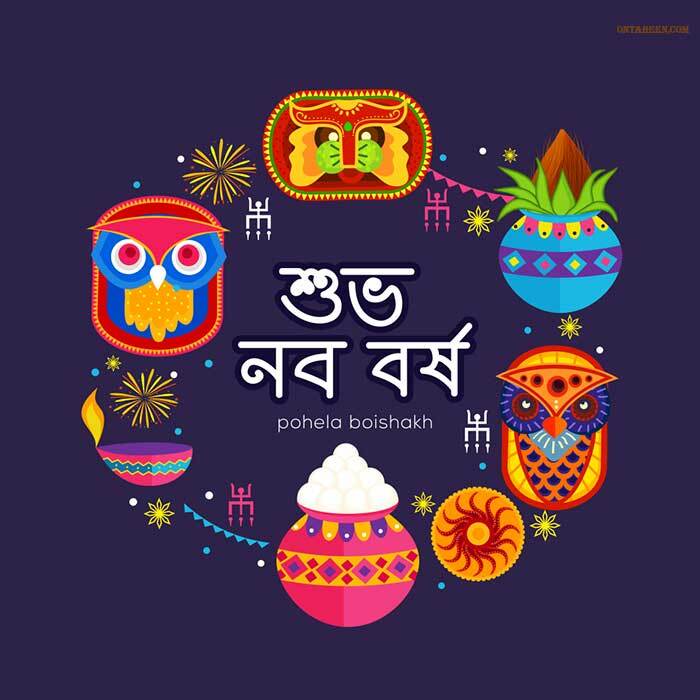 Pohela means first and Boishakh is the first month of Bengali year. 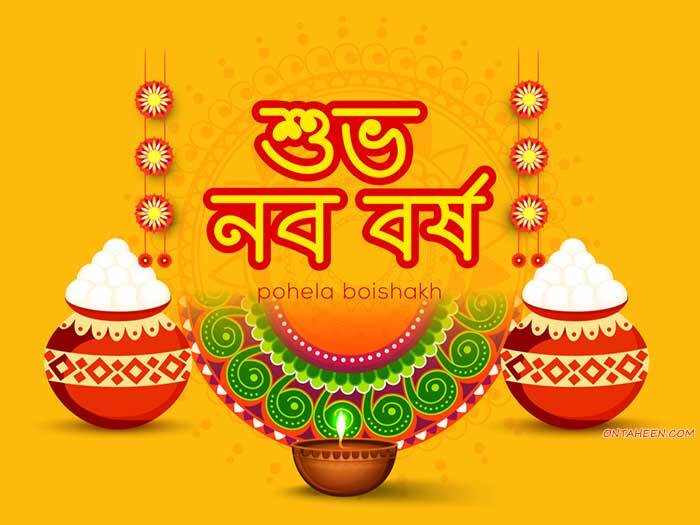 Mainly Pohela Boishakh is the first day of the first month of Bengali year. 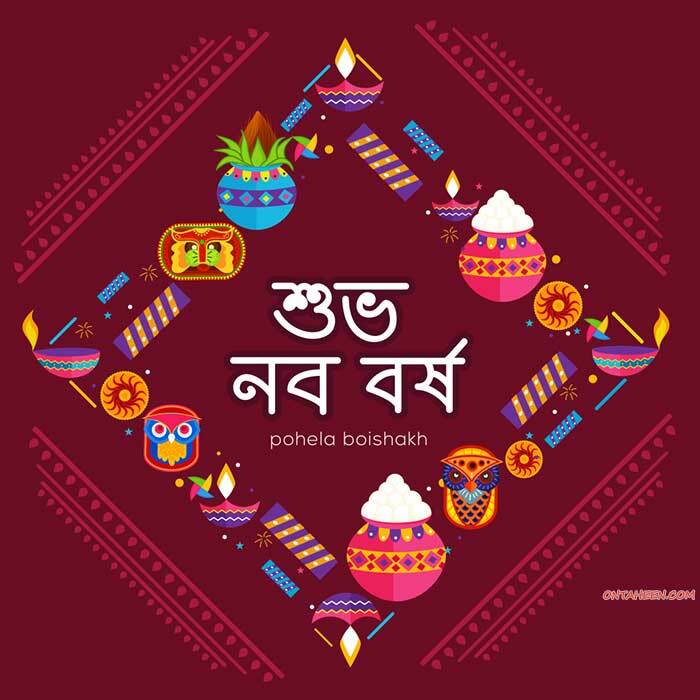 Every year the first day of Bengali year is celebrated as Pohela Boishakh. Bangladesh and the West Bengal of India celebrate this day with great enjoyment. That’s why it is a universal festival. It is a day of inspiration for the Bengali nation. Bangladesh is one of the non-communal countries in the world. People of all religions live together here. 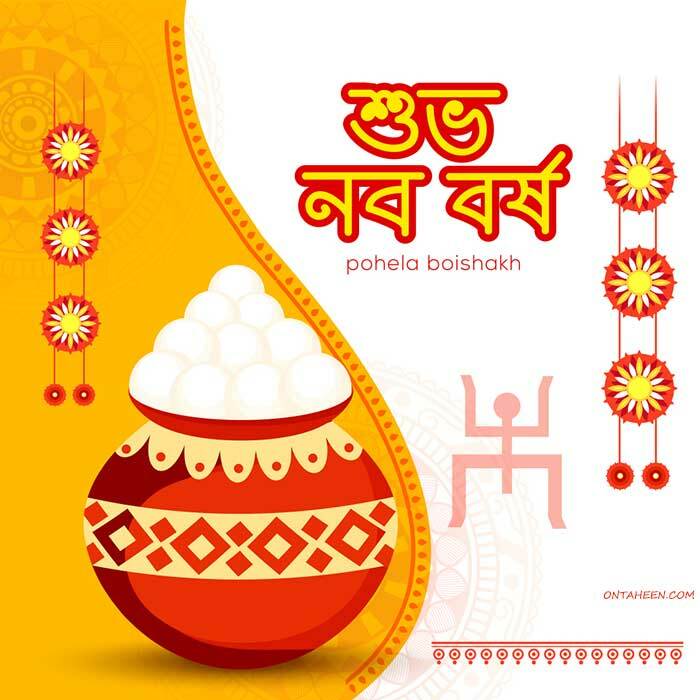 Among all the festivals Pohela Boishakh is the biggest non-communal and universal festival. On this day people from all walks of life meet together on this festival just for the traditional aspects. There belongs no discrimination between religion and caste, rich and poor. Being festive, the Bengalis, on the day and get enlightened by her heritage, cultural identity and glorious nationalism. These feelings of nationalism every time tightened them together and creative inspiration to fight for any struggle for the country’s well being. So, on the Pohela Boishakh, Bengalis woke up together with great enthusiasm and make singing in one voice. 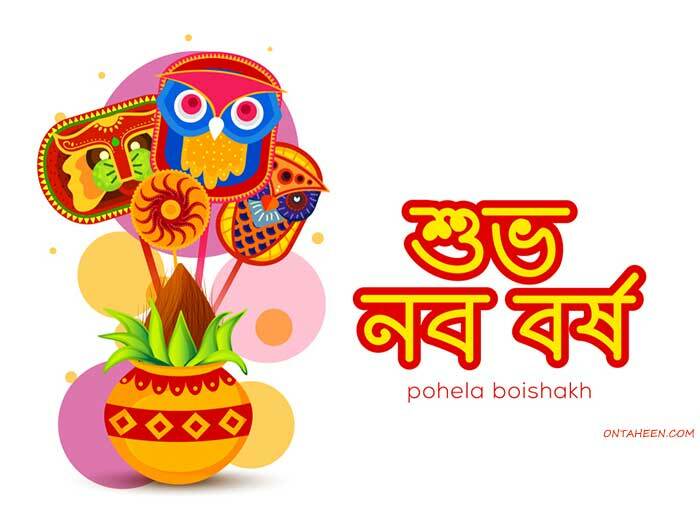 Every year Pohela Boishakh celebrates on 14th April. 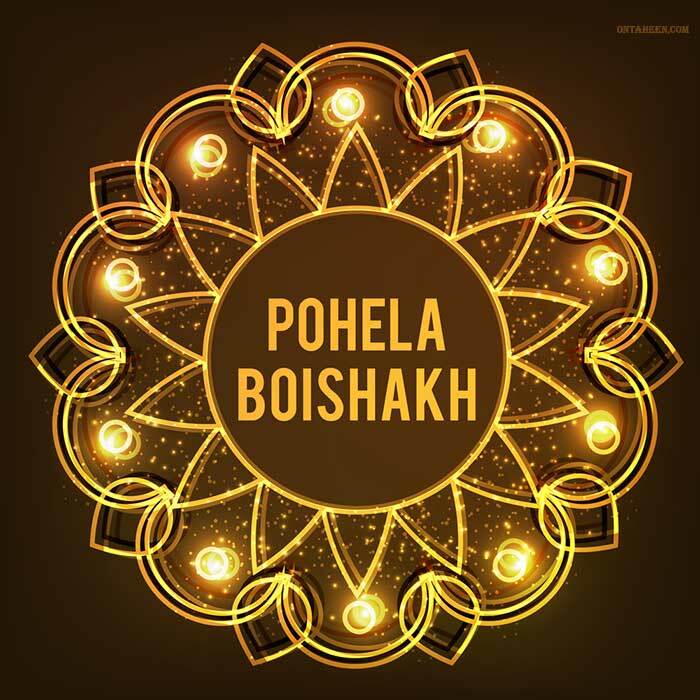 Though the Bengali New Year based on a solar calendar so every year’s 14th April is celebrated as Pohela Boishakh according to Gregorian calendar. The date is fixed, but the name of the day is changeable. It is observed as a public holiday in Bangladesh and in Tripura. In West Bengal, it is an optional holiday. Here I have made a list of Pohela Boishakh/ Bengali New Year date and weekdays of the next some years. Now it is a trend to celebrate Bangla Pohela Boishakh, but how many people we know about the Bangla Pohela Boishakh history. 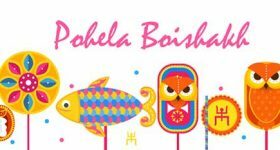 Before celebrating Phela boishakh we all should know the history of pohela boishakh as well as bangle noboborsho. This is Bengali New Year 1426. 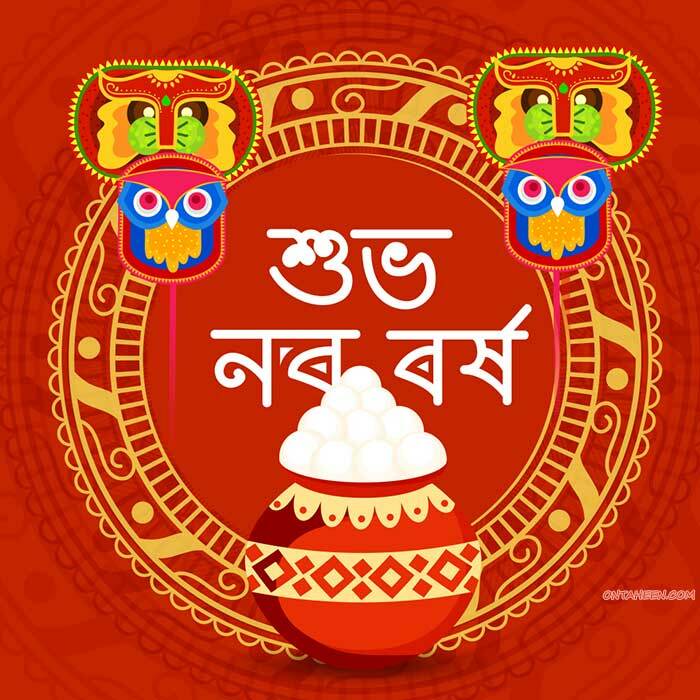 There has much anonymousness about the history of Bengali New Year / Pohela Boishakh/ bangle Noboborsho. The most popular history is that Mughal Emperor Jalaluddin Akbar first introduced Bangla year in 1584. During that time the people of Bengal was used to with the ‘Shak’ calendar. According to this calendar, the first month was ‘Chaitra’. The Bengali calendar was first known as ‘Tarikh-i-Elahi’ or ‘Crop Circle’ or ‘Fosoli Shon’. It was first named by ‘Bangabde’ on 10th or 11th march of 1584. Though this New Year was promoted in the 29th year of Akbar’s reign, it counted from 5th November 1556 AD. Emperor Akbar ascended on the throne of Delhi on 963 AH, 10 Rabiul Awal, at Friday, 1479 Shakaabda, 1614 Vikramashthan, and according to English calendar on 14 February 1556. In the same year he defeated Emperor Hemchandra Vikramaditya in the 2nd Panipat War only at 13 years of age. To glorify this victory of Emperor Akbar’s in 2nd Panipath War and to more revenue in more meticulous way the Bengali year was introduced. The 1st month of the closest Hijri year was counted as the base of Bengali year on that month when emperor ascended on the throne of Delhi. The 1st Muharram, 963 Hijri was the nearest month. On that year he 1st Boishakh of Shakabda and the 1st Muharram of Hijri was on the same day. Boishakh was the 2nd month and Chaitra was the 1st month according to the ‘shak’ calendar. Counting of Bnagla New Year started from 1st Mohorram of 963 Hizri. From that time Bangla year started his journey at 963 years of age. But the difference was the Hizri year period was 354 or 355 days and the Bangali year was counted by 365 days according to the moon. On that time there was also no leap year in Bengali year. To solve this problem Dr Mohammed Sahidullah made a Bangabda reform committee and suggested to count the month of Chaitra by 31 days after every four year. After their meeting the committee decided that Chaitra will be count by 31 days after every 4 years which was granted as leap year. According to the 2nd most popular opinion, during the Mughal period, the socio economical activities like the tax giving ceremony on agricultural products and on agricultural land was being arranged in accordance with Hizri year. These are the story behind the founding of Bengali New Year. 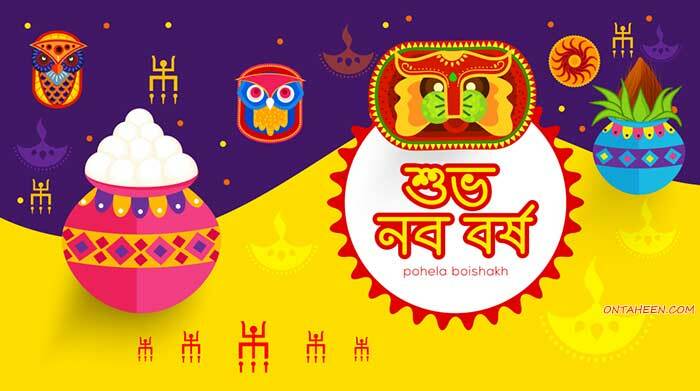 Hey, friends are you ready for Pohela Boishakh celebration? 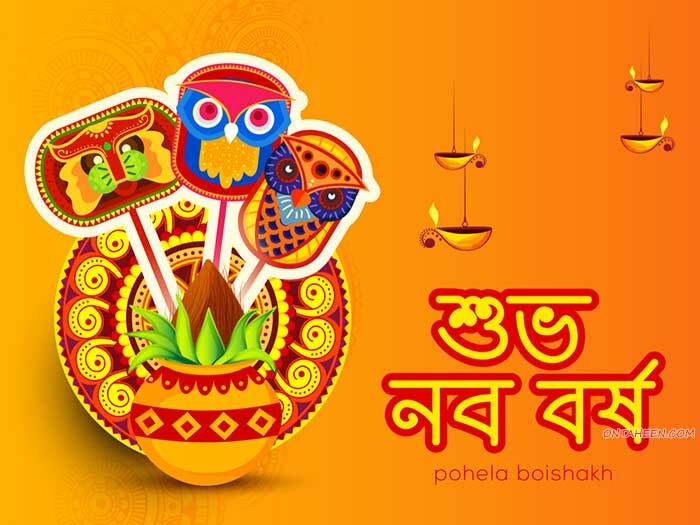 Before you make your preparation for celebrating Pohela Boishakh lets know what’s going on, around this day. 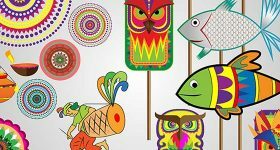 Do you know when the Pohela Boishakh or Bangla Noboborsho celebration start? Like English New Year it’s not started from 12.00 am. Bengali New Year starts with the sunrise. This system promoted by Bangla Academy from 1402 Bangabda. 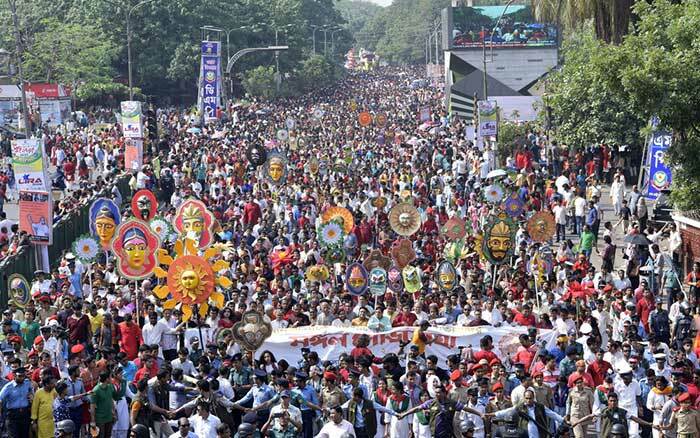 The main celebration of Pohela Boishakh gets started from the Dhaka, the capital of Bangladesh. ” Esho hey boishakh, esho esho“. After finishing the program of Chayanat, the faculty of fine arts of Dhaka university organized ‘Mongol Sovajatra’. They come out with their procession at 8.30 AM. The theme of their procession is ‘Man will be a golden man in vain’ for the previous year. There will be more than 600 artworks in the rally. The procession goes out from Fine Arts and after come in Hotel Intercontinental (former Ruposhi Bangla) will end again in the Fine Arts of Dhaka University. Besides all these programs Shilpokola Academy organized a cultural program at the five-stage on the occasion of Bangla New Year celebration. On Mirpur at 7 AM, Rabindra Sarani Battalaya of Uttara at 9 am, a cultural program held at Bahadur Shah Park in Old Dhaka at 3 pm, Folk Cultural Exhibition held at the open premises of Shilpakala Academy at 4:30 pm and the discussion and cultural program held at the main auditorium of the Dhaka Shilpokola Academy. Bangla academy also organizes lectures and cultural programs. The lectures program starts from 7 AM and it ends with 7.30 PM with cultural program. After the program they arrange a fair in the academy premises. It is a 10 day Aarang and Boishakhi fair. Not only the capital city Dhaka celebrates Pohela Boishakh also the hilly region Chittagong also celebrates this festival at own way. The celebration starts with a cultural program at DC Hill premises. 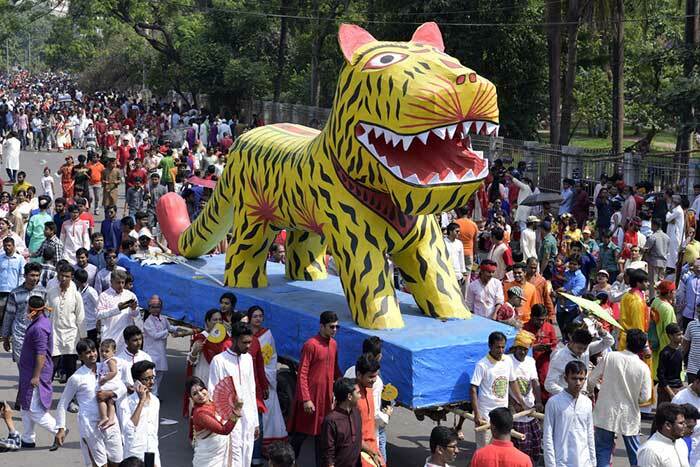 The fine arts department of art faculty of Chittagong University brings out with a colorful procession. Shammilito Pahela Boishakh Udjapon Parishad arrange two days cultural program at CRB hill premises. Chattogram Shilpokola Academy also arranges for so many musical, dance program, exhibition, and puppet shows on the day. 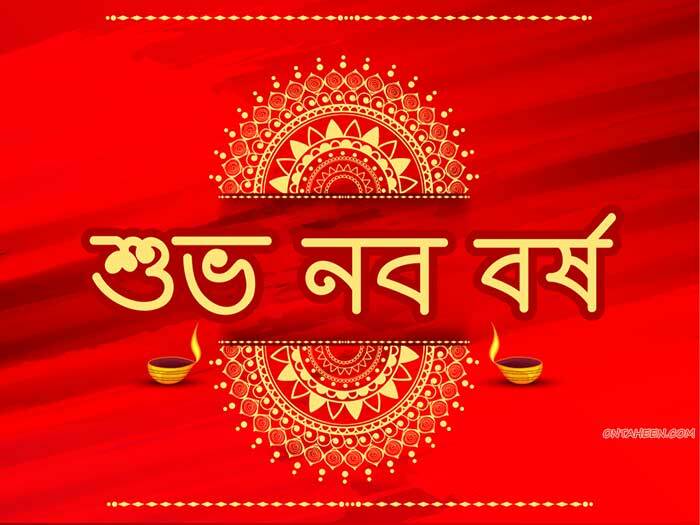 Bengali New Year 2019 this year celebrates on Tuesday, 14th April. 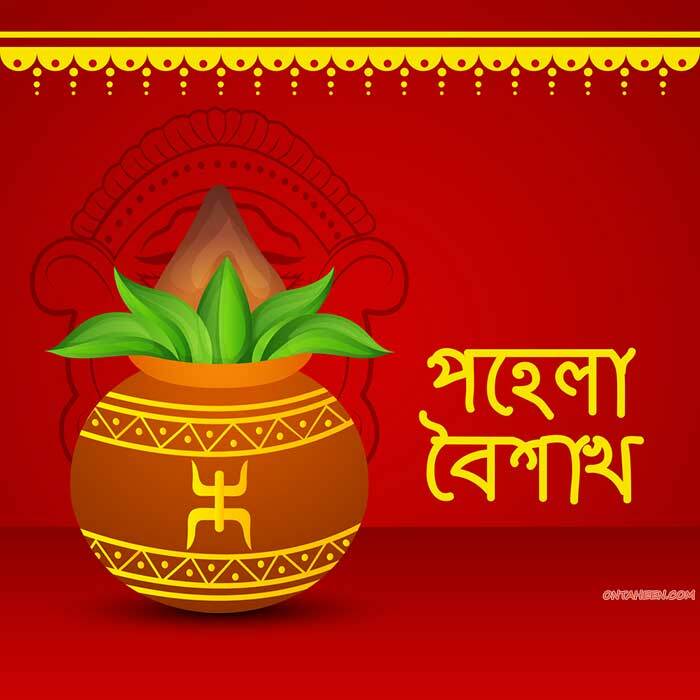 The celebration starts with Pohela Boishakh , the first day of first month of Bangla new year. It is the Bengali New Year 1426 according to Bangla calendar. It is public holiday in Bangladesh. Besides Bangladesh Bengali New Year also get celebrate in Assam, Tripura, and mostly in west Bengal. As in those states of India has so many Bengali communities that’s why they also celebrate the day with great enthusiasm. It is also a public holiday in those states. Mughal Emperor Akbar was the person who first introduced with the Bengali New Year. He started this for collecting land and agricultural taxes. He just wanted to fix a day to collect all the taxes and celebrated it with all people of his reigns. 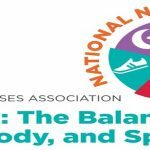 The celebration of his day starts with colorful designs, banner, festoons, and flowers. People wish to one other on this day. In every cultural organization arrange for some attractive programs o the day. Most of the places held the Boishakhi fair. There has a dress code for Pohela Boishakh. The tradition is wearing anything of the red and white combination as Pohela Boishakh dress. Young boys and girls come out by dressed up colorfully. Normally all the ladies wear Boishakhi sharee which is the combination of red and white. The gents people wear Punjabi pajama on the day. Not only the young boys and girls children’s also make fun on the day. As it is a public holiday, they have no pressure to go to school or any tuition. On this day every child goes out with their parents wearing colorful dresses. Delicious food makes all the families. Last of all it is a day of Bengali’s emotions, traditions, fraternities, and keenness. Without sending Pohela Boishakh SMS to friends the celebration is like incomplete. So to send wishes you must be looking for the SMS. 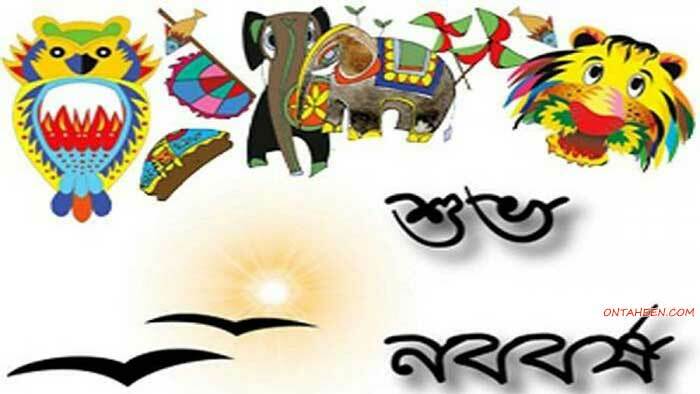 For you guys here we have made a best collection of Pohela Boishakh SMS’s. The best messages are arranged here for you guys. Normally it’s very simple on this day everyone share their best wishes with their family and friends. There have some few festivals which Bengalis celebrate together. 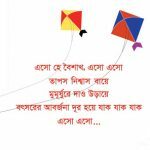 Pohela Boishakh is one of them. On this day there belongs no difference between cast and religion. People of all cast and religion get together in one place. On this day no one miss to send wishes to their renowned peoples. So you must be needed many kinds of SMS so that you can wish to all your friends, relatives, family members. In this regard I hope you may like the messages from here. May you come up as bright as sun, as cool as water and as sweet as honey. Hope this Baisakhi fulfill all your desires and wishes. 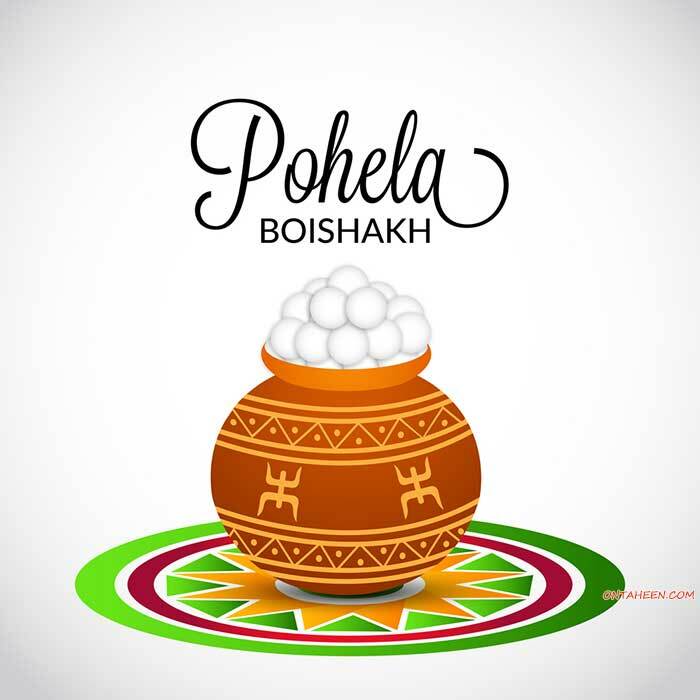 Happy Poila Baisakh! Celebrate the joyful spirit of baisakhi with fun , it is the season to enjoy with your loved ones friends and family. Happy Baisakhi !!! 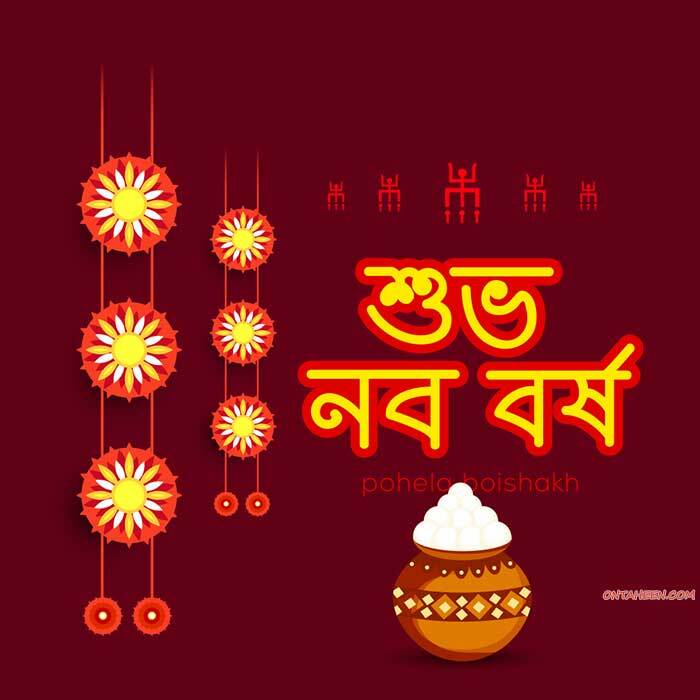 My wishes for you, Great start for Baishakh,Love for Josto,Peace for Asar,No worries for Shrabon Fun for Vadro,Joy for Ashsin to Falgun,Happiness for Chottro,Have a lucky and wonderful new year. পুরোনো যত হতাশা, দুঃখ, অবসাদ, নতুন বছর সেগুলোকে করুক ধূলিস্যাৎ। সুখ, আনন্দে মুছে যাক সকল যাতনা। শুভ পহেলা বৈশাখ-১৪২৬..
On this day everyone posts Pohela Boishakh picture on their social media accounts. It is now a system to wish everyone. But the most common mistake which everyone do that is all post at 12 AM of the day. But Bengali New Year starts with the sun rise. People wish others at the same way of English New Year. Here I’m listed so many colorful Pohela Boishakh pictures. We have enough collection of pictures so that you can send wishes with picture. Most of the people like to send picture as for wish. I hope this collection is enough for you guys, but rather it if you need more than stay with us, you will get more. 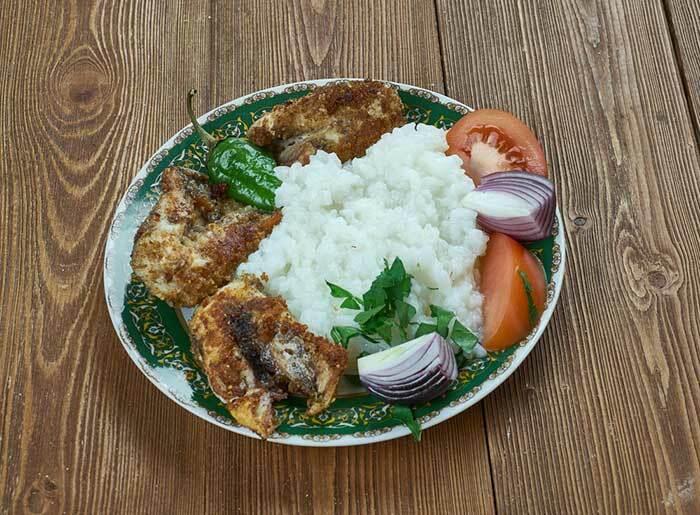 Panta Bhat (rice soaked in water) and fried Hilsha fish is the main item of Pohela Boishakh food. Though it’s not so important to eat Hilsha fish it’s like a tradition as Hilsha is the national fish of Bangladesh. 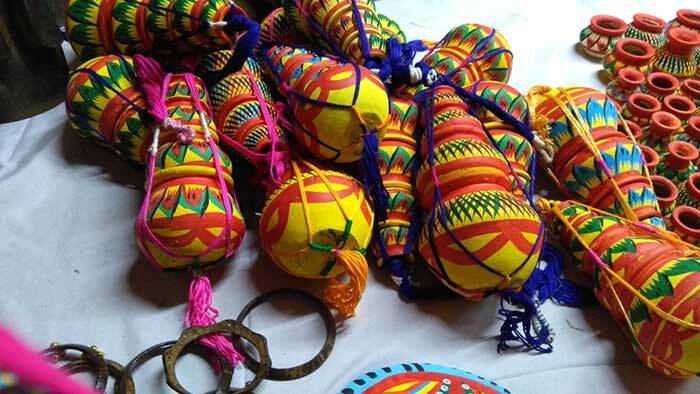 Besides these, there is also making an arrangement for various kinds of Shutki Bhorta (one kind of food item by dried fish). In the beginning time of Bengali New Year, the Bengalis had sufficient wealth. From that time their national food is rice. At that time there also belong to many rivers and all the rivers were keeping filled with varieties of fishes. A proverb was common that time “Mache Bhate Bengali”. From this concept, the Pohela Boishakh food tradition of Panta Bhat and Hilsha fries comes. Boishakhi Mela is another attraction of Pohela Boishakh celebration. Normally it was celebrated in the villages on the first period of Bengali New Year celebration. But now the fair again starts to grab its attraction. It conserves the tradition of rural Bengal. Through it, today’s generation get become introduced with the tradition of rural Bengal. The main attraction of this fairs is Nagordola, various types of food like Muri(puffed rice), Mukri (popped sweet rice), kadma (a candy made of sugar), khaja( also one kind of candy made of flour and sugar). All of this is to attract the children. Besides this clay toys also get available there. 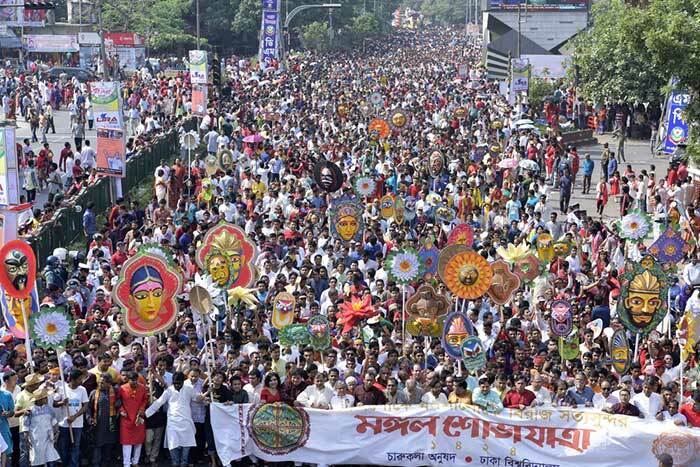 The most renowned Boishakhi Mela held at Chittagong. This is known as ‘Jabborer Boili Khela’. Boli means wrestling. From the very beginning there was a man who used to arrange this wrestling game on the 3rd week of Boishakh month. From that time this fair is named by his name. On this Boishakhi fair the entrepreneurs bring so many products from different place of country. Like handicrafts, toys for children, jewelries for ladies, utensils, various types of foods, and so many things. You must go for once to any Boishakhi fair/mela if occur in your localities.